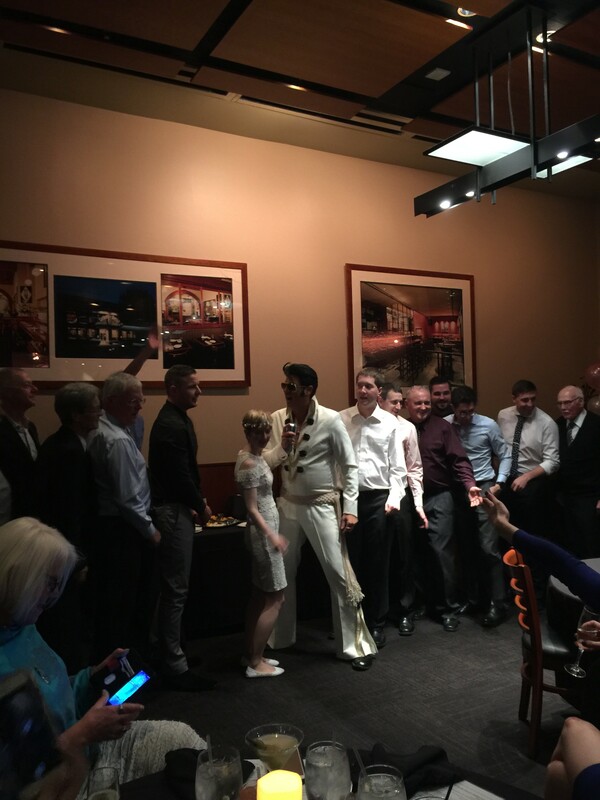 #1 Elvis in Vegas and SoCal for Birthdays, Wedding Receptions, Conventions, Anniversary Parties, Corporate Events and Red Carpet Events! In my show I can perform as Elvis from the 50's, 60's and 70's or all three if you like, with costume changes to match each era. I reenact classic performances from Elvis's early TV appearances and movies to his '68 comeback special and his early Vegas shows and Aloha from Hawaii concert. I take the time to make each show, event or party unique and give it a personal touch. 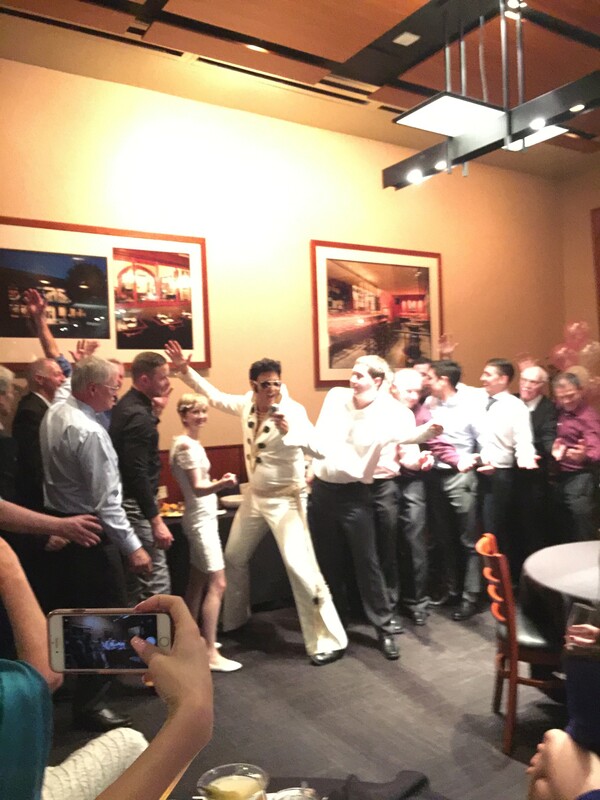 I love entertaining as Elvis and seeing the joy it gives! Thank you Sergio, I had a great time and your group was a lot of fun!! What are you waiting for? It's now or never! Don't be cruel, hire ELVIS GOLD today! Liz and Audrey were absolutely perfect! And such sweet ladies, too. Thanks for helping to make my darling husband's 80th birthday the best Ever! 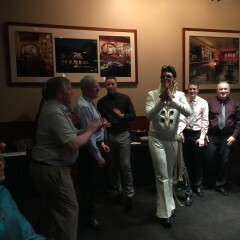 ELVIS GOLD was fantastic - really got the party started! Worked the room and encouraged red carpet photos with friends. Served as an additional staff member with the added true force of the ELVIS persona. Best Elvis ever! Our team is still talkong about it! To lift the energy of the room, engaging both the guys and the women in the experience. He also went the extra mile by visiting and connecting with our team members individually. He was kind and humble and respectful and felt like part of our group who came from Wisconsin, Missouri, Illinois, Indiana, California, and Oregon. 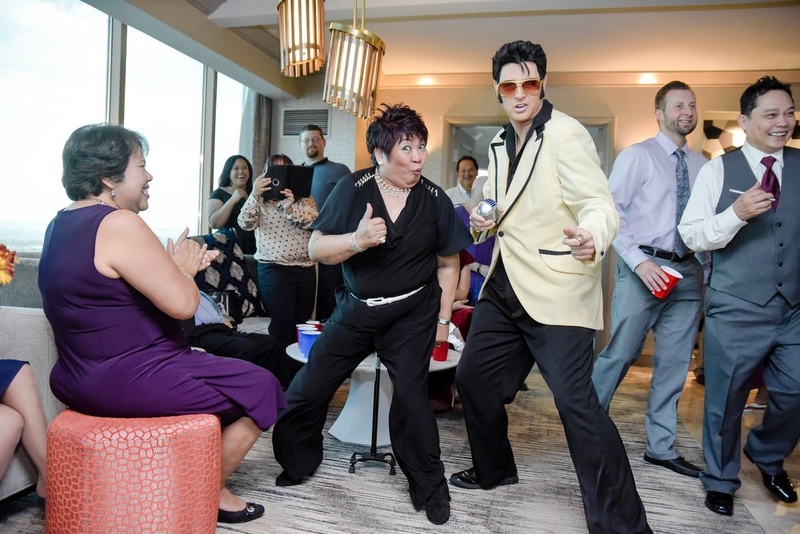 I live in Las Vegas and have hired other Elvis impersonators for events and gatherings. Steve is by far the best ever! I highly recommend him! So glad I found him on Gig Salad! Thank you! 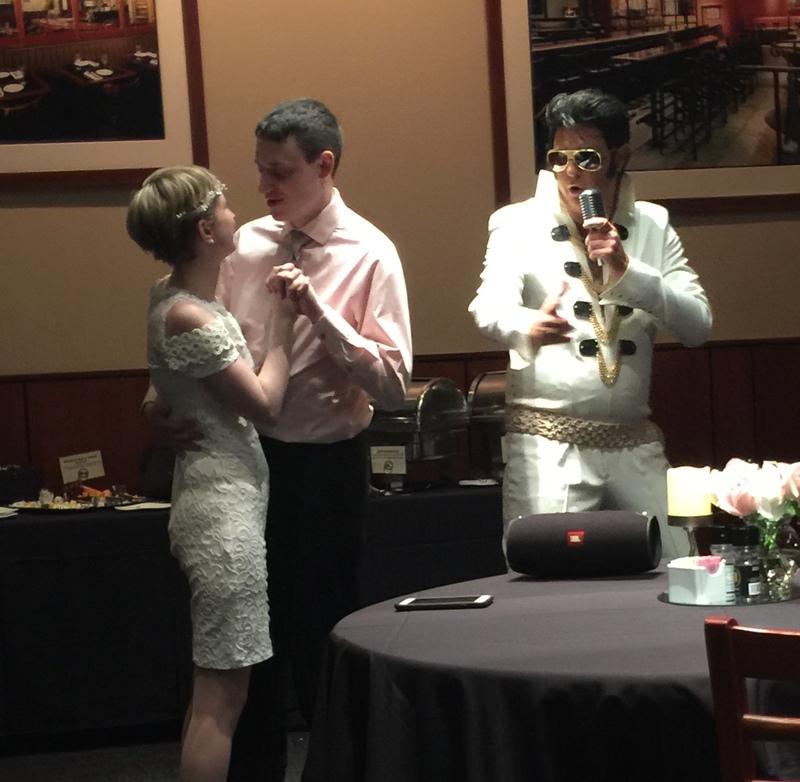 Elvis (Steve) surprised everyone at our Wedding Party! He was absolutely amazing! He sang, danced, mingled with all the guests, had everyone up dancing and singing to his music. We can’t thank him enough. He really made the evening. Thanks so much Steve! My husband thought that this would be the best surprise for our wedding guests. It's Las Vegas and what's Las Vegas without Elvis? And he was right, it was the best surprise! 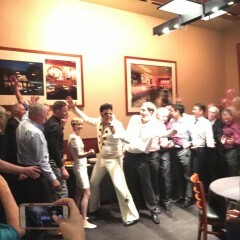 Our guests went nuts for our surprise guest! His performances were a hit and we loved every minute. He really understood the crowd and played a mixture of Elvis and popular songs. 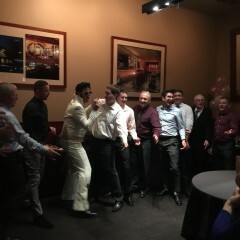 Steve endeared himself even more when he did a sing off between the male and female guests of Grease, Summer nights! A consummate professional with great communication skills. He even arranged time before the wedding to set up his sound system. We loved him and you'll love him! Thank you for making our wedding so memorable! The perfect Elvis for us! 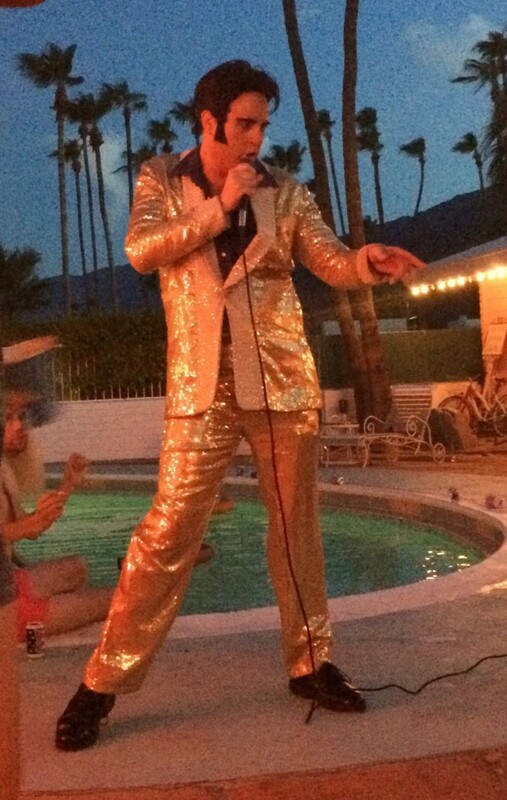 Steve "Elvis" Gold was the perfect Elvis to perform for our friend's wedding anniversary. From his initial response through GigSalad to the thank you, thank you very much, he was the consummate professional and put on a great show for us. Steve was so aaammmazing! Hands down the best. He was punctual, professional, so knowledgeable about Elvis history. But the best part was his VOICE. He truly sounds like Elvis and totally amazed our party. He wasnt trying to rush out the door he stayed took as many pictures as we wanted, spoke to guests. He was great. You will not be disappointed!!! I hired Steve for my my mom's 70th B Day Dinner Party. 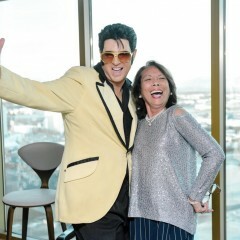 Mom is a huge fan of Elvis. Steve was a HUGE hit for her party. I surprised mom with the King!!! When Steve came into the room it was quite a shocker how good he looked and performed. Steve did 5 or so songs, pictures and stayed for cake!!!! Steve is very talented and does a wonderful Elvis!!! You can't go wrong with Steve....I gave him a $100 tip is was so good. Steve was fabulous! His looks and performance were tops!!! We would definitely use him in the future. Steve aka Elvis did a great job! 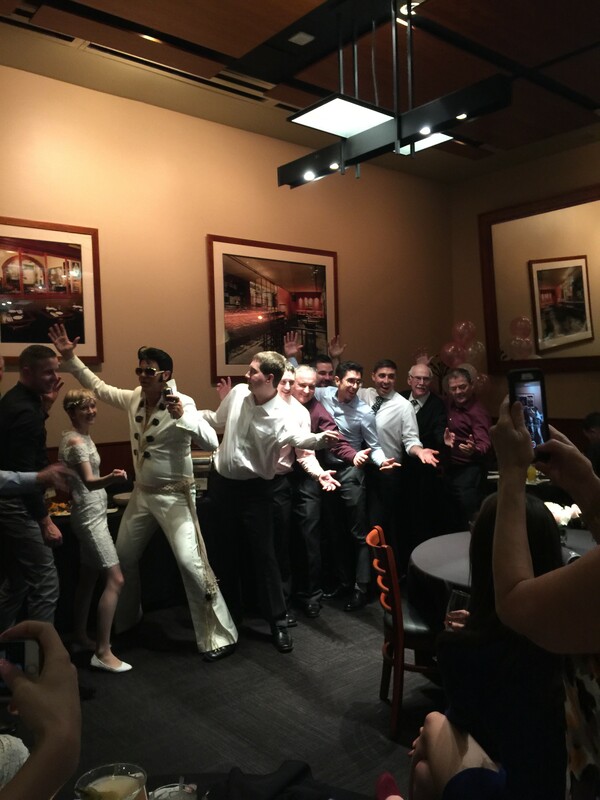 We were very happy with Steve E. Gold and his impersonation of Elvis!! My friends and family were very excited and happy when he showed up. He got everyone dancing and singing along to Elvis' greatest hits! So happy we booked him and will definitely recommend him for future events!! 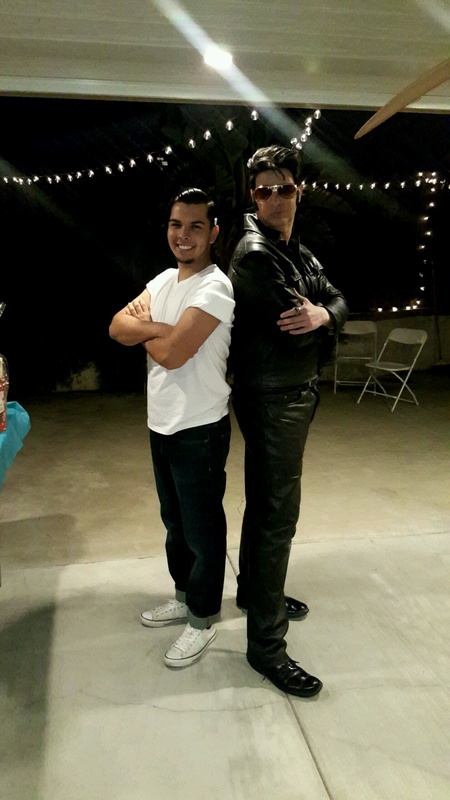 Steve E. Gold played an awesome Elvis!! He kept all our guests entertained!! Everyone was so impressed with his resemblance to the King! Would definitely keep him in mind for future events!!! Great look, Excellent Performance! Has all the moves down! Looks amazing in Pictures! Dont waste your time looking at others when you can get the best right here! Great rates too! Cant wait to hire again!! Thank you so much! Guests said they were blown away by our Hollywood themed Party!! 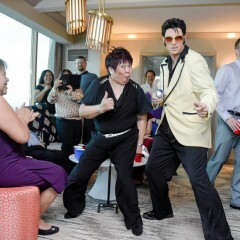 He was an excellent Elvis, great personality, professional, charming and kept the party lively! Highly recommended! Steve aka ELVIS is awesome!!! He surprised my daughter, Christina Adele, at her work on Valentjne's Day! 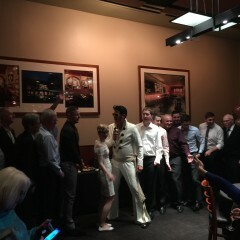 He sang to her in front of the entire office n he was authentic ELVIS!!! He also brought her a teddy bear, rose n candy!!! How lucky can a girl get!!! A dream come true!!! 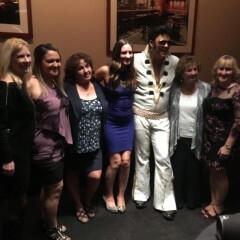 Christina was very happy n her entire office enjoyed ELVIS!!! I highly recommend E. Gold/Steve aka ELVIS!!!! I'm gonna use him again!!!! His performance was video taped n I have watched at least 50 times n it's PRICELESS!!! I so HAPPY I sent ELVIS!!! We love Steve aka ELVIS!!!! 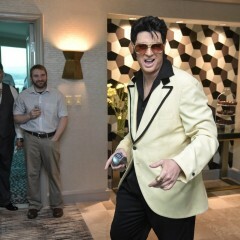 E. Gold is a great Elvis Presley impersonator. His outfits and his look were great for the music video I Produced and Directed. He was on-time and very professional. He also took direction well. E.Gold came to the party right on time? he was very patient with a great attitude. He mingle with the crowd and stay for the whole duration of the party he's very easy to work with and very understanding great communication I would recommend him to anyone who want to have a Elvis impersonator he is not even selfish he will recommend others for your party he was great I will definitely try and have him again. 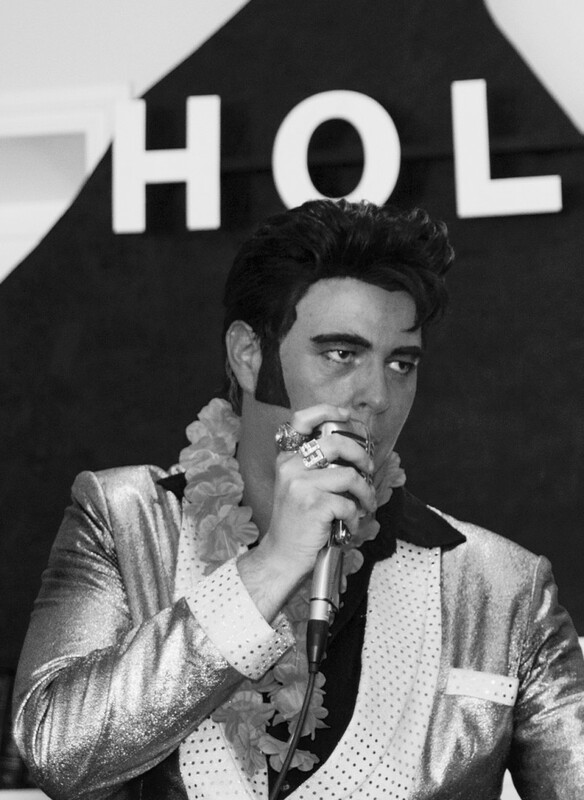 You can expect an entertaining and authentic Elvis Tribute when you hire Steve"Elvis"Gold for your event. 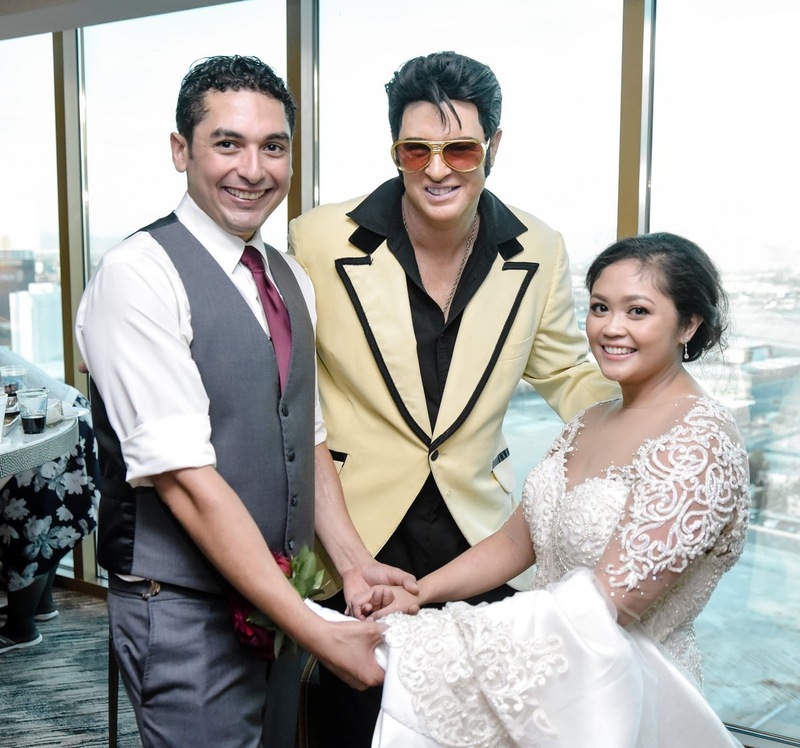 As the only Elvis impersonator in SoCal and Las Vegas on Gigsalad to authentically portray Elvis from the 50's, 60's and 70's you will be hiring a versatile Elvis to please all Elvis fans! I had a dream as a young boy to be an Elvis impersonator, but it wasn't until I moved to Los Angeles in 2010 when my boyhood dream became a reality. I performed and entertained as Elvis all over Southern California for all types of events and have made many appearances on TV, music videos and commercials. In 2017, I moved to Las Vegas to entertain as Elvis. This past year in Las Vegas has been so exciting and eventful! 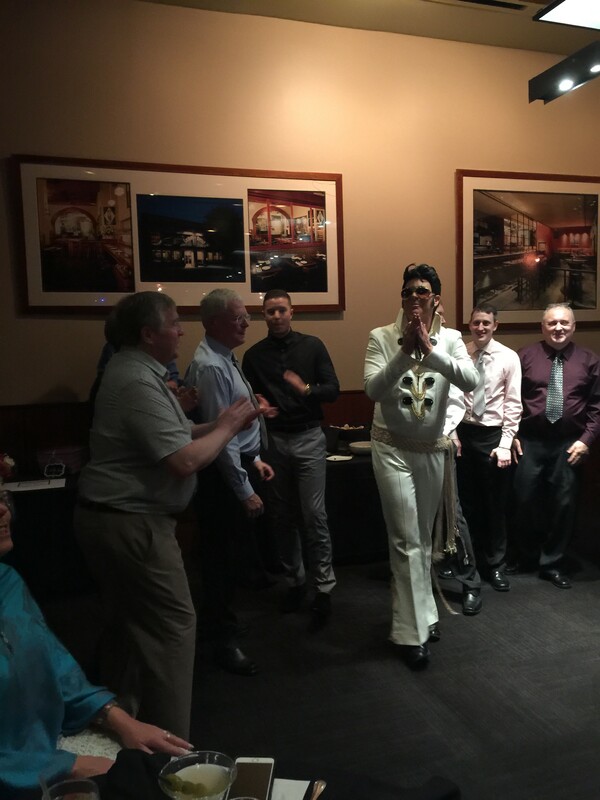 I have been involved with numerous events and parties and have especially enjoyed all of the Wedding Receptions I have entertained as Elvis for. 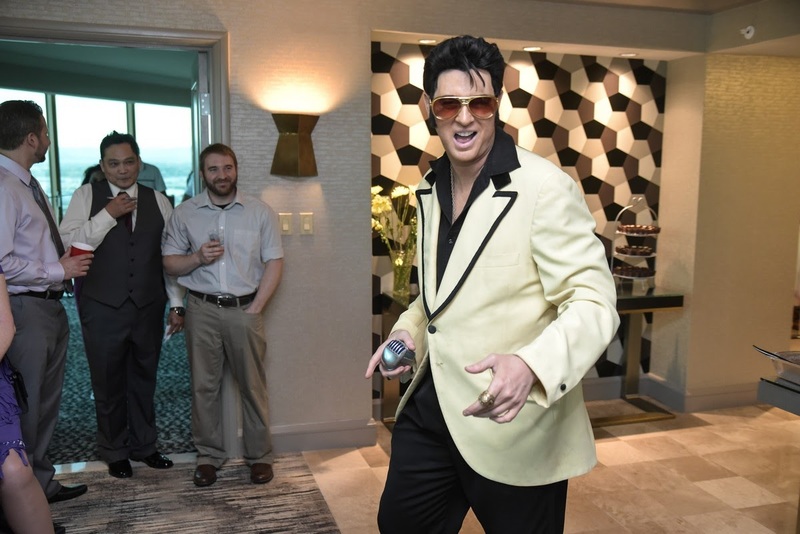 I was cast as Elvis for a music video for the very popular music group from Las Vegas “The Killers”, I was also in a commercial for Nissan and in Sports Illustrated with other top Elvis impersonators and Vegas Golden Knights hockey player Marc Fluery! It has been quite a journey! I have met so many amazing people from different cultures, who all have so much love for Elvis in common. I once performed at a party where Smokey Robinson was in attendance, he was very friendly and told me how much I looked and reminded him of Elvis! 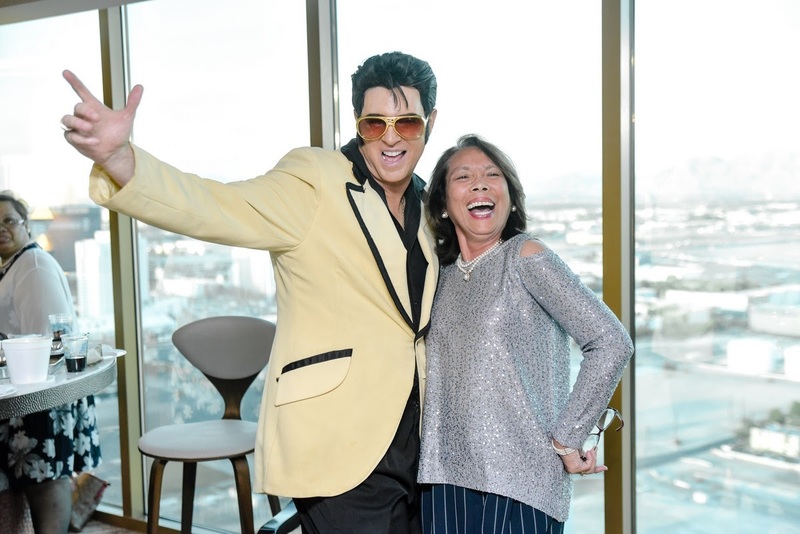 I realize it must be tough to decide who to select when there are 100's of Elvis Tribute Artist and impersonators in Las Vegas and Southern California. I was a full time Elvis Tribute Artist/impersonator working several gigs a week. However, within the last year I have decided to put more energy and focus on each event by scaling back to only doing a handful of events per month. 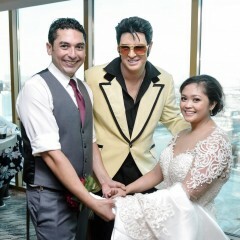 If you decide to choose me as Elvis for your party or event, It won't just be another gig to me. I will put my full focus on your event and make sure everything goes smoothly without any problems. I have been a part of many successful productions in stage theatre and in sports, both as a multi-sport athlete and High School Coach. I have learned from musical theatre and sports to be meticulous in my preparation and training as well as being mentally and physically prepared to be ready and bring my A-Game when it's Showtime! I realize I will not be the cheapest Elvis available, but I can assure you it will be worth a little extra to have an Elvis that will be focused, ready and who will spend the extra time to be prepared and to look and be my best at each event. 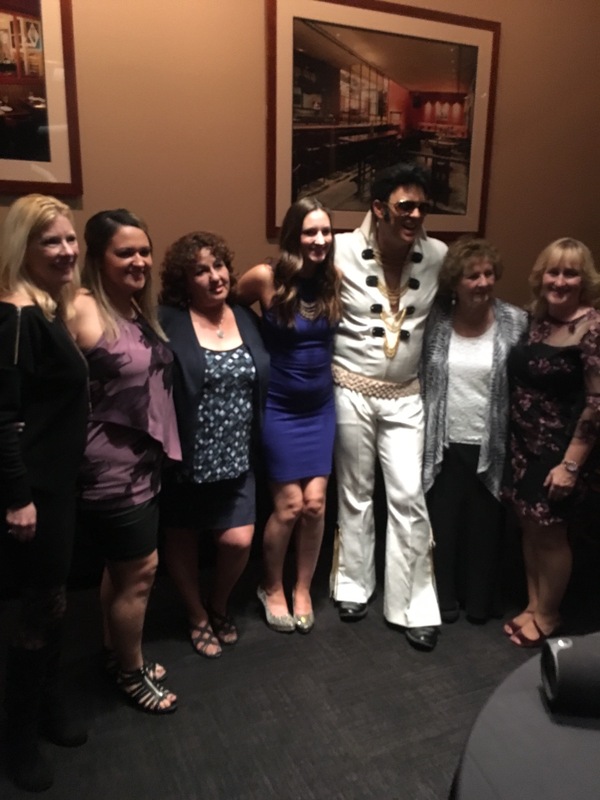 It has been such an honor to entertain and imitate my boyhood idol as Elvis, I hope I can be part of your event and celebrate a special occasion with a memorable Elvis experience! In my early Elvis show (50's early 60's) I will take you on a journey through time as I reenact Elvis's classic performances beginning with his early TV appearances on "The Ed Sullivan"and "The Milton Berle Show" along with his appearance on the Frank Sinatra show. I then reenact some of Elvis's best songs from his most famous movies including songs from the movies "Love Me Tender","Jailhouse Rock","Blue Hawaii", and "Viva Las Vegas" along with other classic songs from his movies. In my '68 Comeback Special set, I reeinact Elvis's stand up show wearing all Black Leather as I belt out as Elvis did classic tunes such as "Heartbreak Hotel","Hound Dog","All Shook Up", and "Blue Suede Shoes" along with other classic hits from the '68 Comeback Special filmed at the NBC Studios in Burbank. In my 70's Elvis show I wear Elvis's Chain White jumpsuit, made by the best in the business "BK Enterprises" I reenact Elvis classic performances from his first shows at "The Las Vegas Hilton" to his 1973 "Aloha from Hawaii Concert". Beginning with the classic ELVIS intro leading into "CC Rider" I then take on Elvis's most iconic songs from the 70's, classics such as "Suspicious Minds", "Burning Love","In The Ghetto" and "Love Me"(Treat me Like a Fool) during this song I give out Red Scarves to the ladies as Elvis did during this performance. I will end each show the same way Elvis did by singing "Can't Help Falling in Love" and asking everyone to join in to sing along and/or slow dance with a partner. 25+ GigMasters Bookings Responds quickly to client requests One of the most outstanding GigMasters members for 2017! One of the most outstanding GigMasters members for 2016! 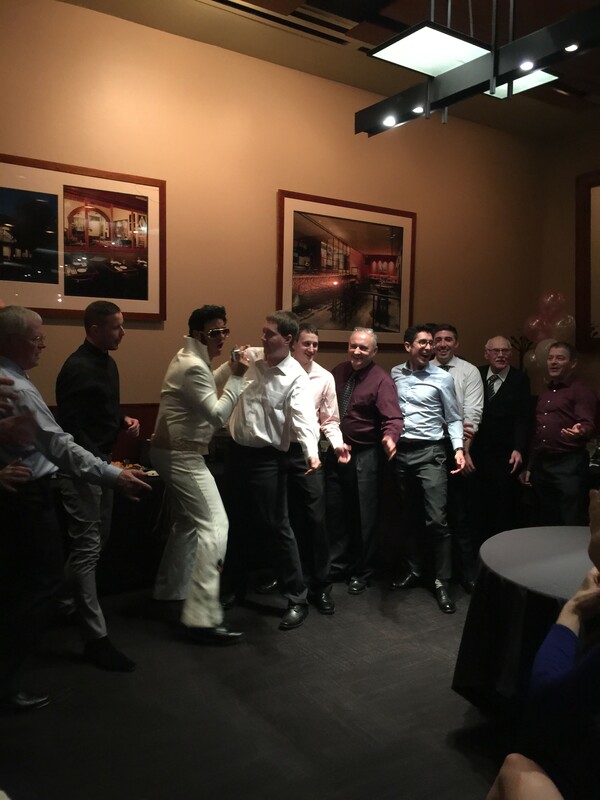 One of the most outstanding GigMasters members for 2015! One of the most outstanding GigMasters members for 2014! The Show was amazing. 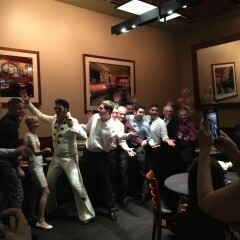 Elvis got the whole party into it. The ladies really like him. I liked that he kept me in the loop and i didnt have to worry about him showing up.. Great Job my daughter "Grad" enjoyed the show. It was more than what I expected! 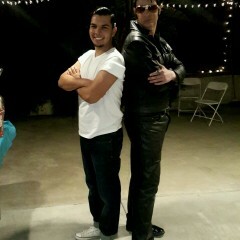 Very entertaining :) He truly resembled Elvis along with his attire. He gets the crowd involved. Very accommodating. Easy to work with. Everyone enjoyed the performance and viewers wished the show did not end.